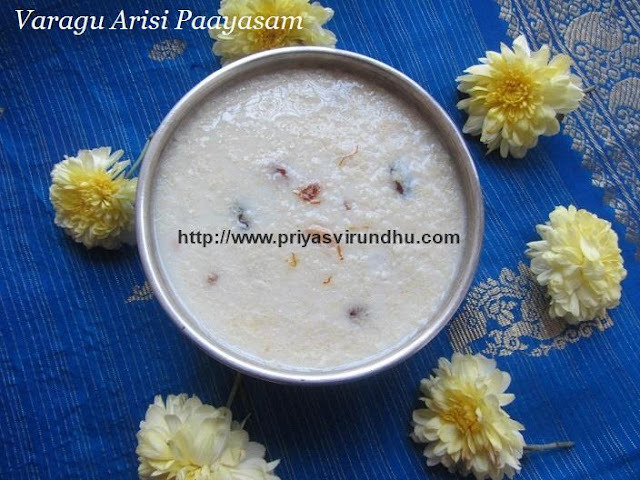 Today, I am going to share a very healthy and tempting paayasam that can be made during pooja days for neivedhyam. I have used varagu arisi but you can very well replace it with thinai or saamai to make this paaysam. Without much delay I will move on to the recipe. Meanwhile do check out other interesting Paayasamvarieties and other sweet varieties here. Check out other interesting Millet Recipes here. Today, I am going to share a very healthy, quick and easy tempting sweet – Ragi Halwa. This Ragi Halwa is a super delicious and healthy guilt free sweet. I have used naatu sakkarai instead of white sugar which is loaded with iron. This ragi halwa will just melt in your mouth and the kids also will love it. 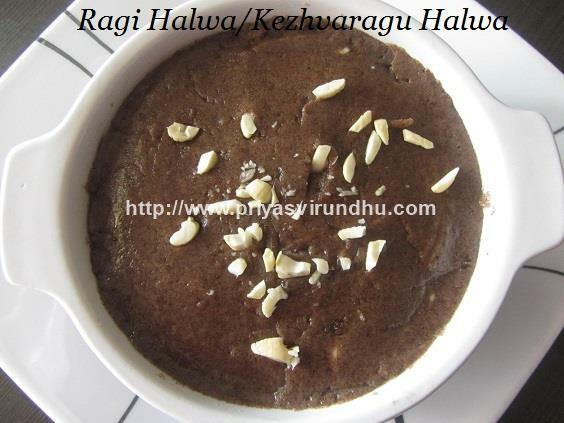 Do try out this Ragi Halwa and post your comments. Meanwhile check out other Halwa varieties and traditionalSweet varieties here. 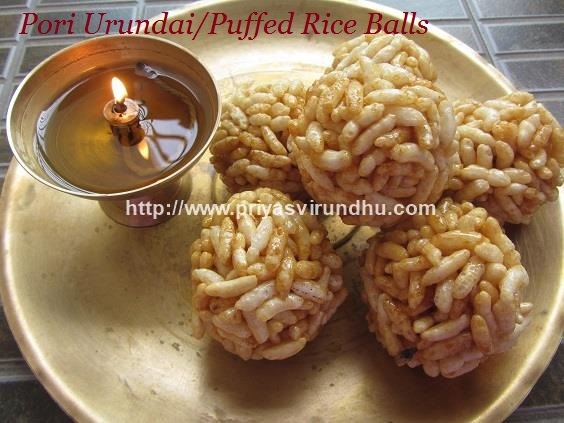 Pori Urundai/Puffed Rice Ball is a traditional and brings back nostalgic memories for everyone. We prepare Pori Urundai for Karthigai Deepam along with ParuppuPaayasam and Appam for neivedhyam. Not only for neivedhyam, it is a wonderful healthy and an easy evening snack for kids and adults. Do try out this lovely and healthy Pori Urundai and post your comments here. Meanwhile do check out other tempting Sweets and Snacks here. With Diwali round the corner, each one of you should be busy shopping, thinking of new sweets and snacks to be prepared at home. 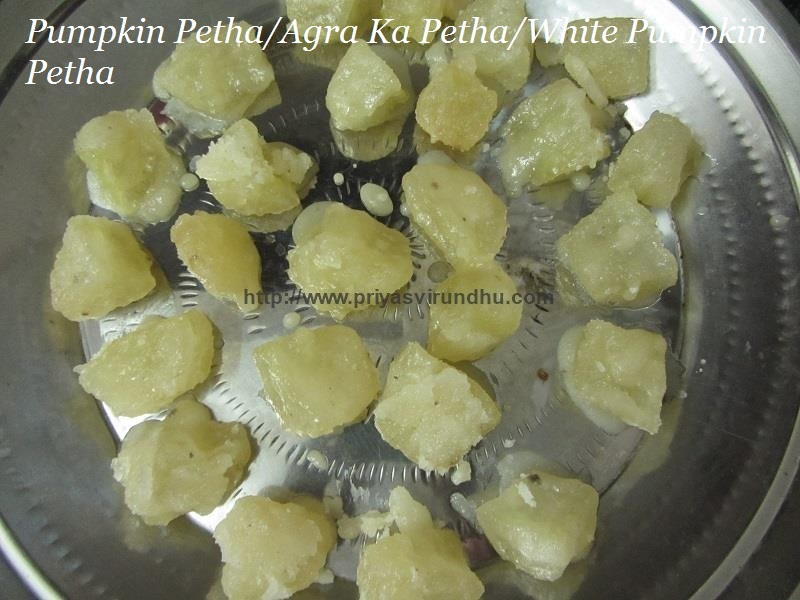 For this Diwali I would like to share with you all one of my favorite sweets White Pumpkin Petha/Agra Ka Petha. I have had this Petha the first time when I was little girl, which my dad had bought from Agra. Even, now a days, when I visit Sowcarpet in Chennai, I never fail to buy these white pumpkin pethas. I have tried to make this pumpkin petha recipe from here. Do try out the soft and chewy Pumpking Petha and post your comments here. Meanwhile do check out other interesting and tasty traditional Diwali Sweets and Snacks here. 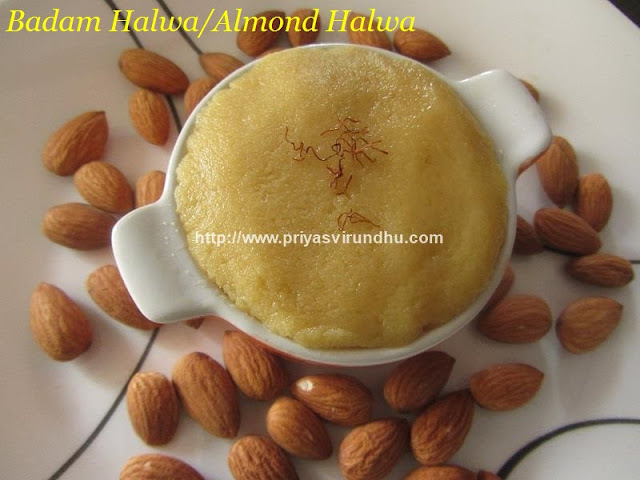 Today, I am so happy to share with you all my 600th post –Badam Halwa. I am really thankful to each and every one of you for your continuous support and encouragement. So here’s a virtual treat from my kitchen to all my readers, followers and supporters. Badam Halwa is a very popular and delicious Indian dessert made with almonds, sugar, saffron and ghee. It can be made for any festive occasions, special pooja days etc. It is also served as dessert for weddings and parties. Do try out this special and tempting Badam Halwa and post your comments here. Meanwhile do check out other interesting Indian Sweets and Snacks prepared during special occasions in the link. 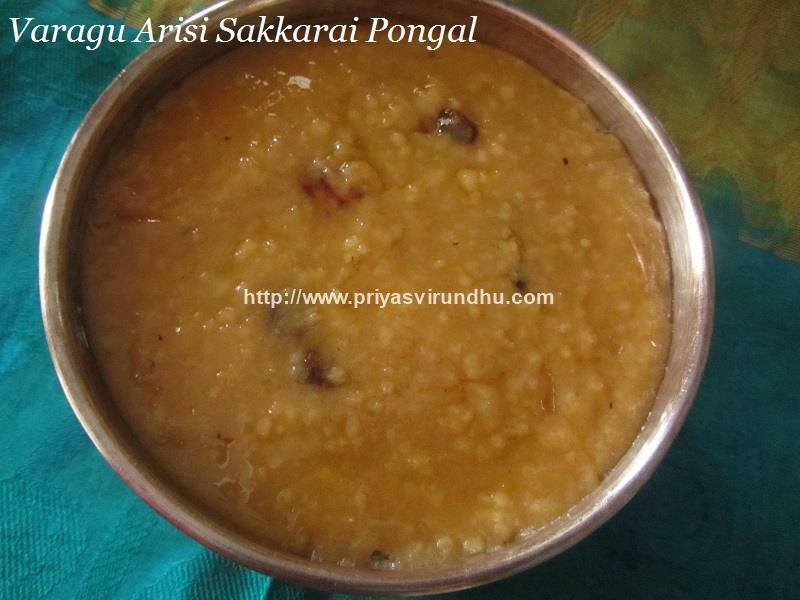 Sakkarai Pongal/Sweet Pongal is a very special and a traditional dish of Tamil Nadu prepared especially during Pongal festival and also during other festive occasions and on pooja days. Usually Sakkarai Pongal is prepared with raw rice, moong dal and jaggery, but here, I have replaced raw rice with Varagu Arisi as a healthy alternative. Varagu Arisi sakkarai pongal is yet another addition to my millet recipe collection. Do check out other Sweet Varieties, Pongal Varieties and also about the famous Pongal festival here. Earlier today, I posted a very healthy Peanut ChaatSalad, and now I am going to share a very easy, healthy and easy to make Peanut Laddu. Peanut laddu is made with just three ingredients – peanuts, jaggery and elachi. These laddus are very soft and melts in your mouth. My kids love these laddus, so I pack it for snacks to school. These laddus give them lot of energy to play and is loaded with iron and other nutrients like protein, vitamin E, B1, B3, folate, biotin, phosphorus, manganese, copper etc. 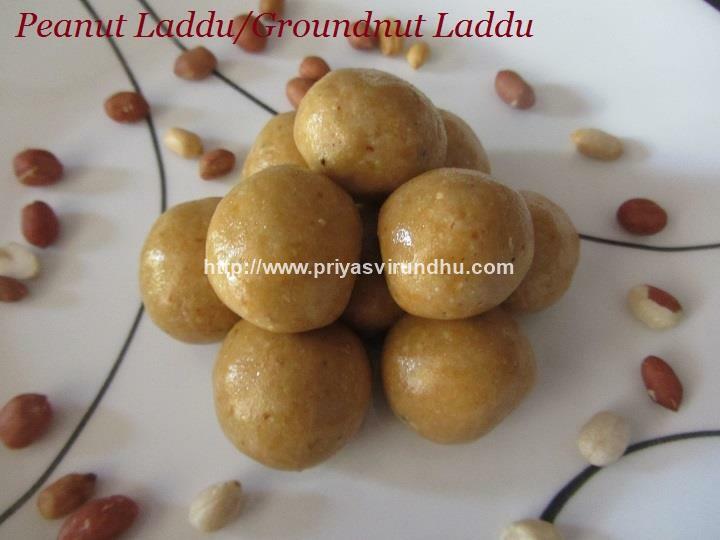 Any way friends do try out this healthy peanut laddu and post your comments here. Meanwhile do check out other interesting and tempting laddu varieties here. 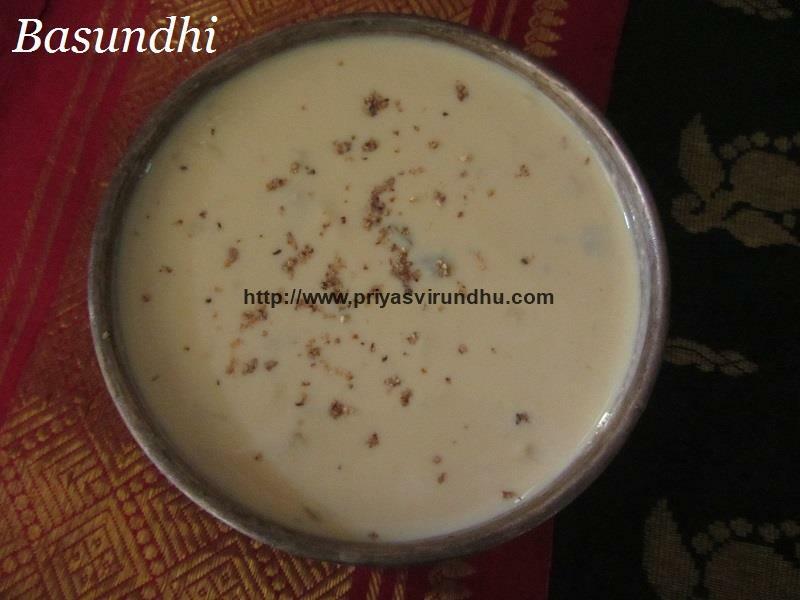 Basundhi is sweetened and thickened milk garnished with different types of chopped nuts and flavoured with cardamom, saffron and nutmeg powder. Basundhi is a very popular dessert in western part of India, especially in Maharashtra and Gujarat. It is a very special sweet prepared during Diwali, raksha bandhan, gudi padwa, holi and other festivals. Basundhi is also served as dessert in weddings and other special occasions. Please try out this delectable Basundhi and post your comments here. Meanwhile do check out other Diwali Sweets and Diwali Snacks here. Poli is a very common traditional sweet prepared during special occasions and festivals. It is also a wonderful evening snack. 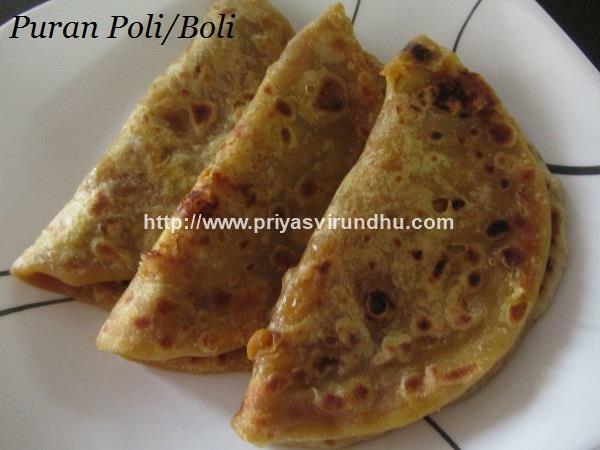 Poli can be prepared with different stuffings like coconut filling but today I am sharing with you all Purana poli. Purana poli is a poli prepared with dal and jaggery stuffing. Poli is known with different names in different states. It is known as bobbatlu in Telugu, obbattu holige in Kannada, Puran Poli in Marathi, and Boli in Tamil and Malayalam. Try out this tempting puran polis and post your comments here. 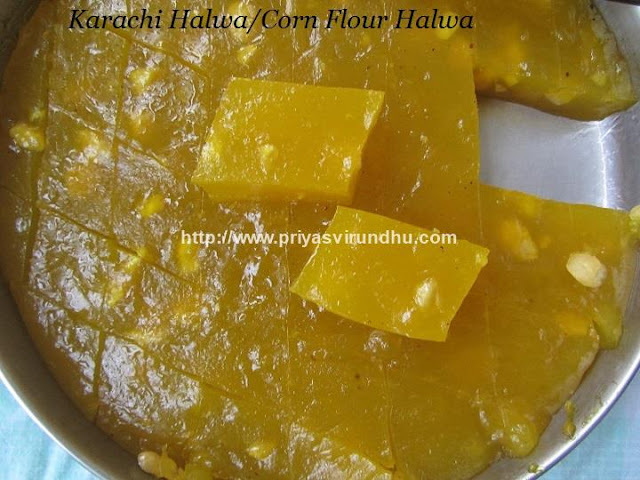 Today, I am going to share a very easy and tempting halwa – Bombay Halwa/Corn Flour Halwa/Karachi Halwa. This halwa has a beautiful and glossy texture, nice crunchy nuts hidden inside the halwa, along with ghee gives it an extraordinary taste. You can use any food colour of your choice; here I have used yellow food color for the halwa. Do try out this super tempting and lovely halwa and post your comments here. Meanwhile do check out other interesting Halwa recipes here and other tempting Indian traditional Sweets here. Sweet Kuzhipaniyaram is a very easy to make evening snack and is a very popular South Indian dish. This delectable dish is made with less number of ingredients and can be made with things easily available at our house. 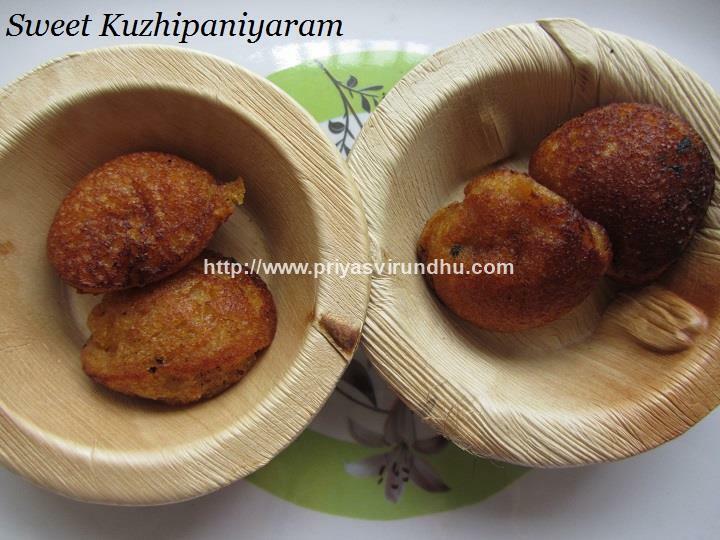 Do try out this easy and delicious Sweet Kuzhi Paniyaram and post your comments here. 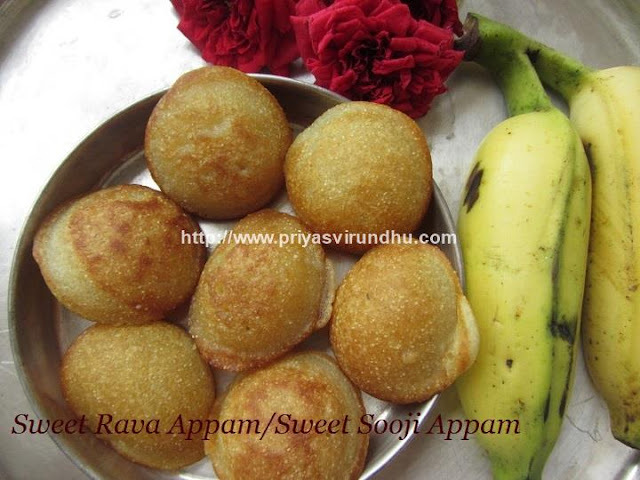 Today, I am going to share a very elegant and traditional recipe that we especially make on Karthigai Deepam that is none other than Sweet Rava Appam. This appam though made for neivedhyam during pooja days; can be made as quick snack for kids after school and add a big smaile on their face. We make different types of appam, like wheat flour appam, neiappam etc which I will be updating soon. For now, do try out this quick and easy Sweet Rava Appam and post your comments here. Mean while do check out Diwali Sweets & Snacks and also neivedhyam recipes here. 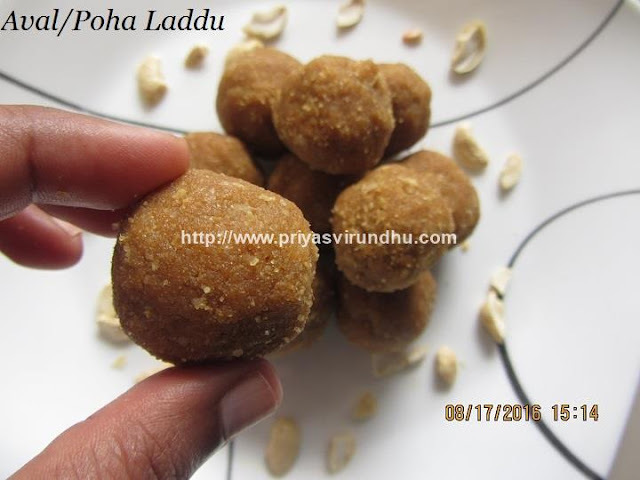 Today I am going to share a very healthy and easy poha/aval ladoo. This laddu is prepared during Krishna jayanthi for neivedhyam as we all know aval is lord Krsihans favourite. The best part of this aval laddu is, it is prepared with jaggery, so it very healthy and tasty. This Aval Laddu can be made as quick evening snacks for kids, or for special occasions like Diwali, Navratri etc. Ok, friends do try out this delicious and healthy Aval laddu and post your comments here. Meanwhile do not forget to check out other laddus like Bhoondhi Laddu, Roastedgram Laddu/PottukadalaiUrundai, Besan Laddu, Ragi Laddu/Kezhvaragu Laddu, Rava Laddu, Sesame seeds Laddu/Ellu Urundai which I have posted earlier. Pineapple Kesari is very flavourful and tempting sweet dish which is very commonly served in all most all the marriges. Kesari is one of the easiest recipes of all the sweets and prepared in all most all the households in Tamil Nadu. I have already posted a plain Rava Kesari and Mango Kesari earlier. 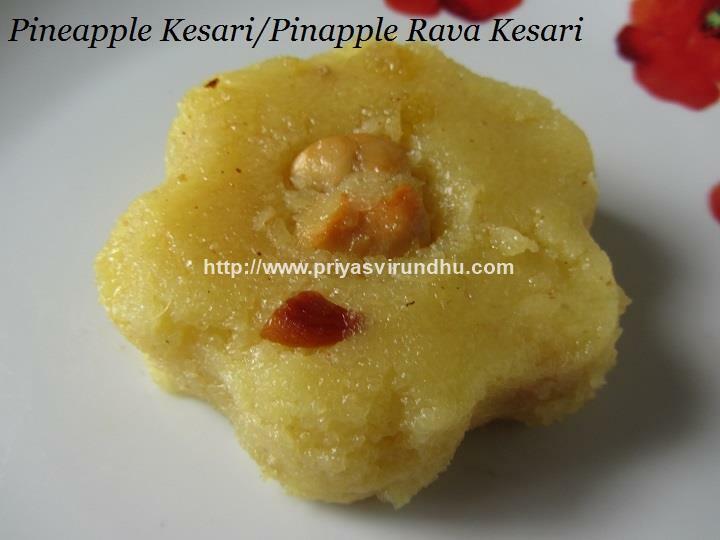 So, today I am sharing with you all very aromatic and delectable Pineapple Kesari. Do try it our friends and post your comments here. Diwali is around the corner and everybody is busy shopping for clothes and crackers. Diwali is all about lighting lamps, sharing sweets and snacks with friends, family & relatives, wearing new clothes and bursting crackers. And when it comes to sweets and snacks, homemade is always the best and gives great satisfaction for me and I believe it’s the same with you all. For this Diwali, I am sharing with you all White Pumpkin Halwa/Kasi Halwa/Kalyana Poosanikai Halwa made out of fresh home grown white pumpkin from my mom’s backyard. Do try it out friends and have a great Diwali. Do not forget to check out other DiwaliSweets and Snacks here. Today I am going to share with you all a very easy and quick neivedhyam recipe for Pooja days – Aval/Poha Kesari. I made this aval kesari for Krishna Jayanthi, but the recipe has been sitting in my drafts for quite some time. 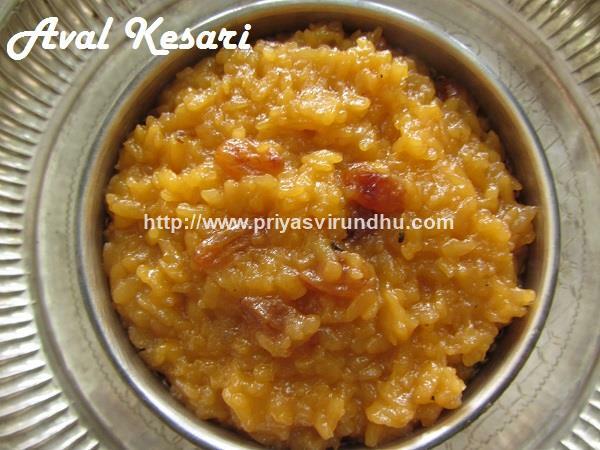 So friends, you are planning to make Kesari, try to make Aval Kesari and you will surely love it. Do not forget to check out Rava Kesari and Mango Kesari which I have posted earlier. 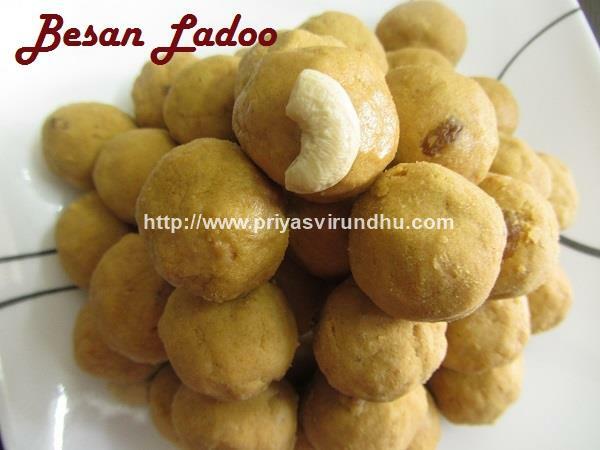 I am very happy and excited to share with you all a special Besan Ladoo for my 500th post. I thank all the readers, followers, subscribers and each and every one of you in this virtual world for the constant and continuous support and encouragement. Besan Ladoo is prepared with gram flour, sugar and ghee. 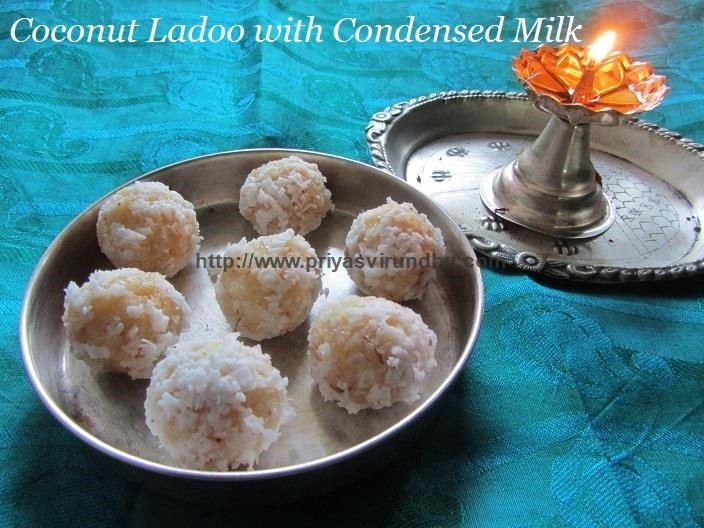 We can make this ladoo for special occasions like Diwali, Pooja days or for celebrations. For now enjoy this delicious besan ladoo and have a great day. Do check out other delicious and delectable Diwali Sweets here. Eid Mubarak. I wish all my friends, readers and followers around the world a very happy and peaceful Eid. Mango Halwa is a very delightful and finger licking halwa that can be made in minutes. Not just that, when you have lot of mangoes in hand then you can make this halwa in a big batch and store it in the refrigerator. You can spread this mango halwa on rotis to make rolls for lunch box, or spread it on breads to make sandwiches or spread it on dosas to make special mango halwa dosa. Any way friends do try out this easy, quick and delicious Mango Halwa and post your friends. Do check out other delectable and tempting MANGO RECIPES here. 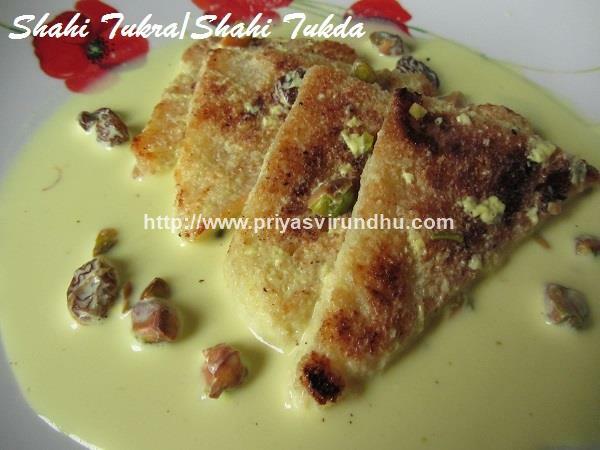 Shahi Tukda/Tukra means royal dessert that can be made quickly and taste exotic. It one of the most sumptuous desserts made by frying the bread slices to golden brown colour and then soaking it in sugar syrup. The final touch of pouring the rabadi and garnishing with nuts & dried fruits makes it luscious , rich and royal. Enjoy this Shahi Tukra as dessert during this special month of Ramadan. Priya'sVirundhu. Awesome Inc. theme. Powered by Blogger.